Tuscany Classic Brick backsplash tile and the Tuscany Walnut Pencil Molding come together beautifully in this backsplash tile design. 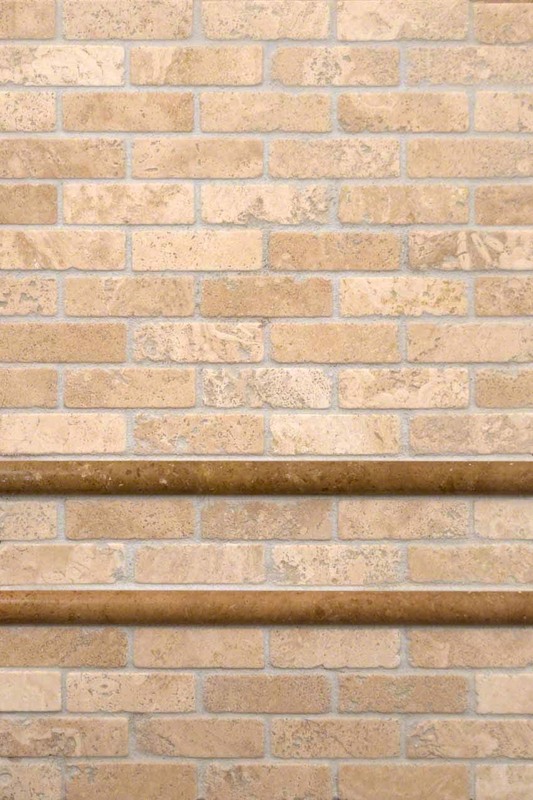 The light beige tones in the tumbled brick-look tiles lend an Old World elegance that is complemented perfectly by a pencil molding just a shade darker. Use this as bathroom or kitchen backsplash tile in designs from traditional to contemporary.